Ontario colleges and universities must come up with free speech policies or face government funding cuts. The Progressive Conservative government issued the warning Thursday, saying the schools have until Jan. 1, 2019 to develop, implement and comply with those policies. A government statement says students who contravene the policies would be subject to existing campus discipline measures. It also says that the Higher Education Quality Council of Ontario will monitor compliance starting in September 2019 and schools that don't comply could face funding cuts. 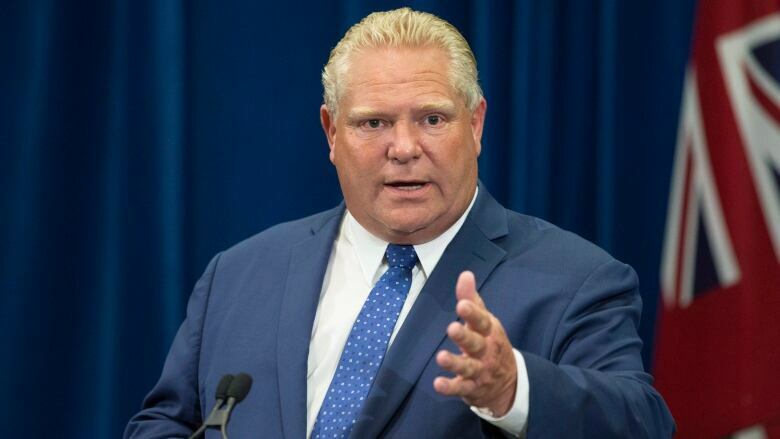 Premier Doug Ford promised during the spring election that he would tie funding for post-secondary institutions to free speech. The promise came after several Canadian campuses saw incidents in which controversial speakers came under fire for their views. A student group criticized the move, calling it "an unprecedented overstep" into the affairs of postsecondary institutions. "The Ford government has a clear agenda in attacking academic institutions and student groups with this directive," said Nour Alideeb, Chairperson of the Ontario branch of the Canadian Federation of Students. "By threatening to remove funding for our public institutions should they not comply with this highly unusual policy, and by directing institutions to withhold students' unions money should they not do the same, the government is forcing these organizations to pick a side in what is a deeply important public debate."